Hi guys! Look what I ran into. 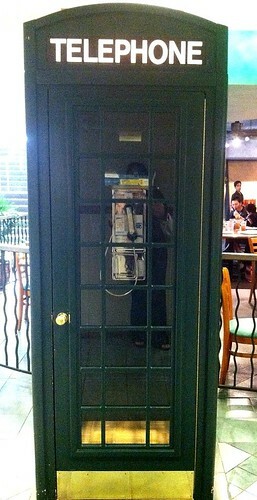 Almost everyone has a cell phone these days that I hardly ever take notice of pay phones, but they are still out there! However I can’t say that I see too many phone booths. I ran into this and had to take a picture of it. Soon this too will be a piece of history LOL!